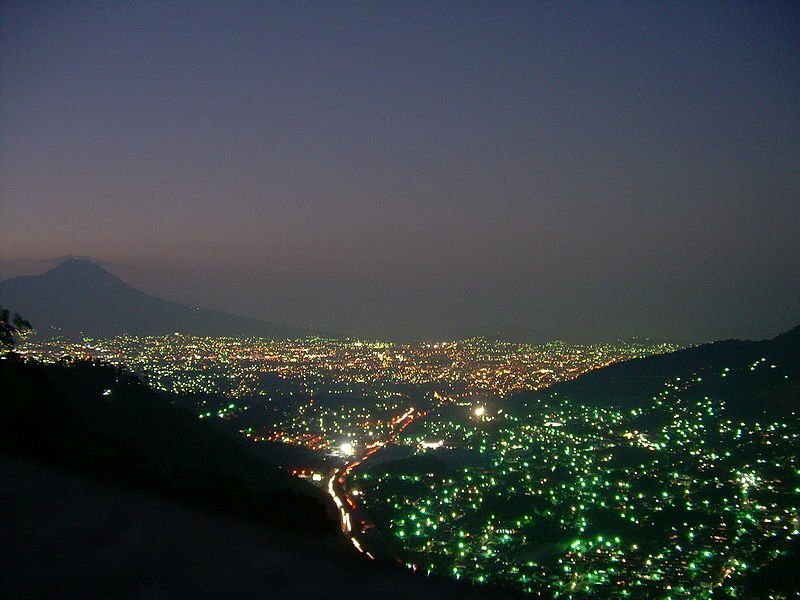 The second biggest city in Central America and the capital of El Salvador, San Salvador, is also one of the oldest. Surprisingly, though, the architecture of the city betrays no signs of its age. The series of earthquakes that hit San Salvador over the centuries, has forced El Salvador to rebuild itself from time to time. And today, San Salvador boasts of one of the best and most modern infrastructures in Central America. To the northwest of San Salvador stands the San Salvador volcano, a geologist’s delight. It is a huge stratovolcano, and looks splendid as it slopes steeply upwards in its many layered textures. Lava, airfall tephra, volcanic mud and debris, all of these give the volcano a stratified look. At peace, the Quetzaltepec (another name for the San Salvador volcano) is a joy to behold, cradling parts of the city itself in its gentler slopes. However, the volcano had erupted in 1917 after a series of massive earthquakes that had caused much damage to life and property. The importance of San Salvador can be understood if we take a look at it in context of the rest of Central America. San Salvador is the second largest city in Central America (after Guatemala city). San Salvador produces a half of the country’s wealth and is home to a third of the country’s population. The downtown area of San Salvador is famous for its shopping malls, which are the best and the most numerous in Central America. Multiplaza Mall, Galerias, Metrocentro, El Paeso, Ka Gran Via and Moma Linsa are some of the best malls in San Salvador. The marketplaces where you can shop for local artisan made products include the Ilopango marketplace located some distance from the city center and Mercado de Artesanias near Zona Rosa. San Salvador also promises a heady night life for all those who are interested in club hopping. Clubs range from elite upscale joints in the Zona Rosa area to mid-range clubs near the National University. Some of the better known clubs are Senor Frog’s, Guadalajara Grill, Alebrijes and FOAM. There is no better place than a museum or a theatre to take stock of the cultural history of the place. Historic and cultural attractions in San Salvador include the David J Guzman National Museum of Anthropology, the Word and Image Museum (known as Museo de la Palabra y la Imagen), the Museo de Arte MARTE, the National Theater, the National Palace and the National Cathedral. The Metro Centro Mall in San Salvador, is the largest in Central America as well as of the Metrocentro chain. San Salvador was christened Valle De Las Hamacas (meaning Valley of Hammocks) by the Spaniards who inhabited the town during 16th Century AD, owing to the constant seismic activity in the area. San Salvador is the capital city of El Salvador in Central America. It is accessible from the San Salvador International Airport at San Luis Talpa Department of La Paz. From the airport, all the city hotels and major attractions are easily accessible by car. San Salvador enjoys a tropical climate with heavy monsoons from March to November. It is a great time to visit San Salvador in December, when the rains are just over, and the city wears a fresh and clean look. 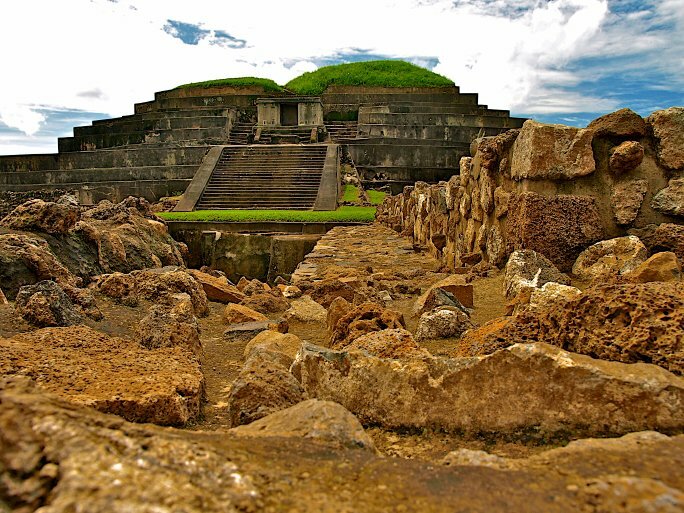 Moreover, since few tourists visit San Salvador for its own sake, but tarry here awhile on their way to other attractions in El Salvador, the best time to visit the city is when the rest of the attractions are open. For Example: The Montecristo park remains closed during rains, and is best visited during the dry season. The rainy season in San Salvador too has visitors since surfers flock to the city to enjoy some of the best breaks on the Pacific coast. What are the co-ordinates of San Salvador? 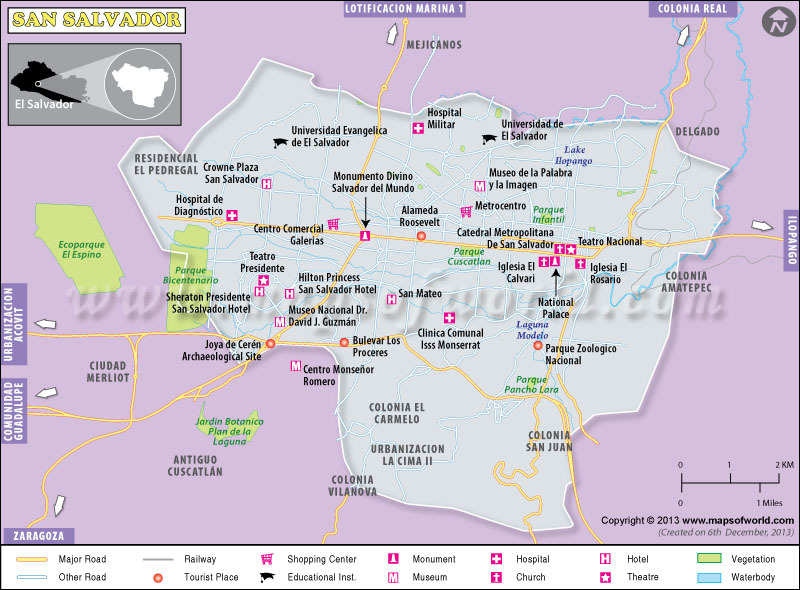 What are the places of interest in San Salvador? True to its Central American roots, San Salvador offers an exciting nightlife. The suburban Zona Rosa area is a must visit if you are looking for high-end clubs, hotels and a scintillating nightlife. It also houses the cultural and historical centers of the city-its museums and theater. 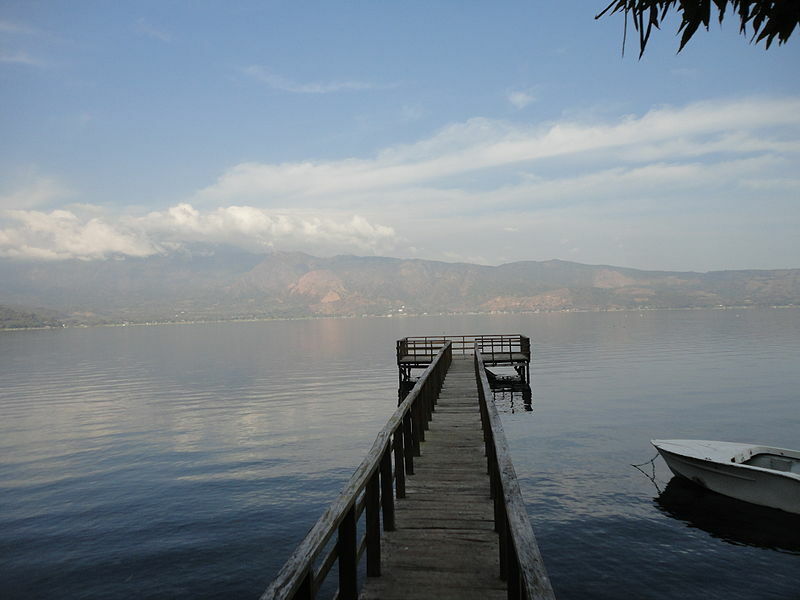 Other more famous tourist attractions are also very easily accessible from San Salvador like the coffee plantations of Santa Ana, Lake Coatepeque, El Boqueron National Park and the ruins of Tazumal. 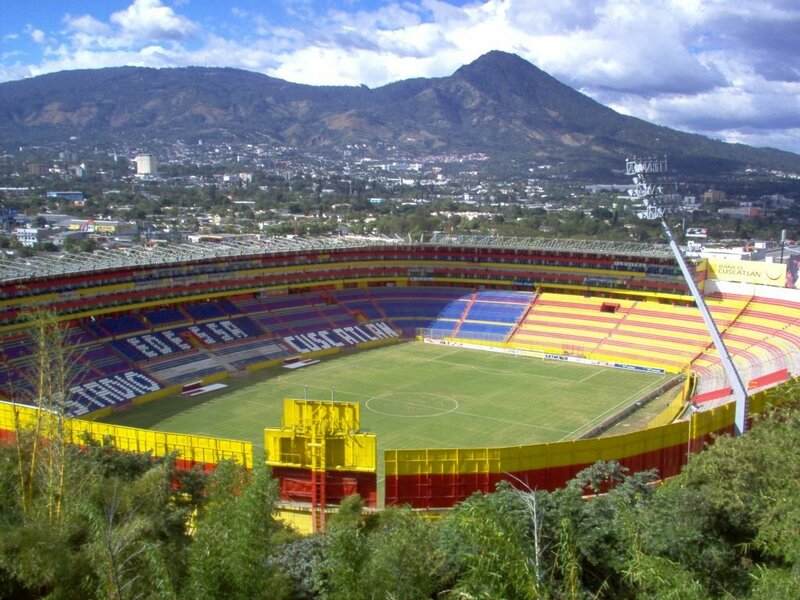 You would not want to miss the Estadio Cuscatlan stadium if you are a sports fan or someone whose trips always include a visit to the most important attractions. After all, it is the largest stadium of Central America, and has been home to some of the best games held in El Salvador.